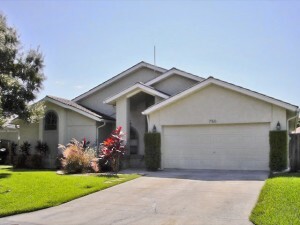 Desirable gated community only minutes from downtown St. Pete! Placido Bayou is an executive-style subdivision laid out in a park-like setting. This wonderful waterfront property is located on a quiet street and is lushly landscaped! From the great curb appeal to the beautiful private backyard, this is one not to be missed! The gleaming wood floors, remodeled kitchen, guest bath and bonus office off the master bedroom add to the appeal of this house. Vaulted ceilings, custom fireplace, split plan, wet bar, sunny patio and a pool-sized yard make this a great value! The Deborah Ward and Associates team specializes in Clearwater, Largo, Seminole, Clearwater Beach, Sand Key, Belleair, Dunedin, St. Petersburg, and St. Pete Beach Florida real estate, serving buyers and sellers with a focus that is rarely found in the real estate world!